What began as a simple vision shared by four women more than 130 years ago in a five-room house is now a seven-hospital health system that cares for nearly 1 million people in 18 counties each year – this is the history of Mission Health. Their vision was simple: to care for those in need, regardless of their ability to pay. 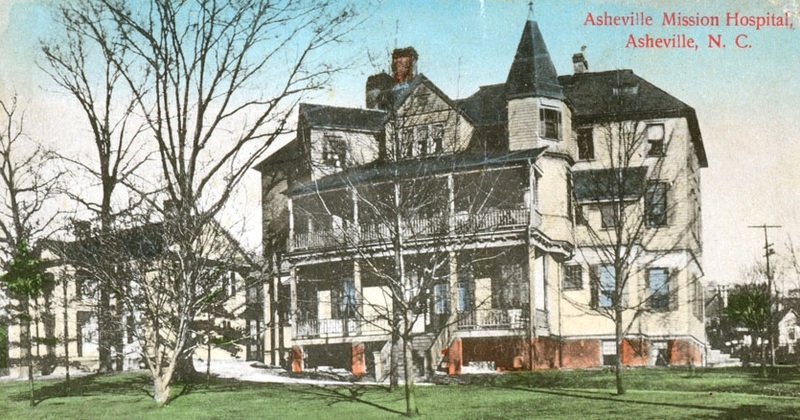 In 1885, Anna Woodfin, Fanny Patton, Rose Chapman and Lily Carmichael set out to establish a place in Asheville where the sick and those in need of a home could heal. What became “The Little Flower Mission,” led by Miss Anna Woodfin, revolutionized healthcare in western North Carolina as we know it today. These four women’s vision of a hospital in Asheville began by selling flowers on the streets of downtown to raise money. They opened a hospital on a shoestring budget on October 6, 1885, in a rented five-room house with donated furniture and materials. Mission Hospital would officially care for its first patient, a woman in labor, on October 17, 1885. Mission Hospital would continue to grow under the leadership of women for decades to come. Today, 49 percent of Mission Health’s executive leaders, 70 percent of all team leaders, 50 percent of employed providers and 77 percent of the entire staff is made up of women. The first patient at Mission Hospital was carried from her nearby home on a little pallet borne by two men. Today, critically ill and injured patients from throughout the region may arrive by air ambulance helicopter (better known as MAMA). The four women of the Little Flower Mission couldn’t have imagined their little hospital would result in the modern medical center that serves western North Carolina today.